You'll find millions of songs from just about any artist, album, or genre you can think of. Browse thousands of movies to buy or rent. Keep up with your favorite TV shows in standard and high definition. Download thousands of apps and games. And buy games made especially for your Click Wheel-based iPod. Whether you shop the iTunes Store on your computer, iPhone, iPod touch, or Apple TV, everything you love is easy to find. As you know, iTunes store movies can only be played on 5 devices. iTunes rental M4V video can only play on 1 device. So, you can't play iTunes movie anywhere. If you want to convert M4V video purchased from iTunes, M4V Converter Plus is your best choice. It can remove DRM protection of iTunes, and then you could play movies anywhere. It will make M4V playable on your iPad, iPhone, Zune, PSP or more. 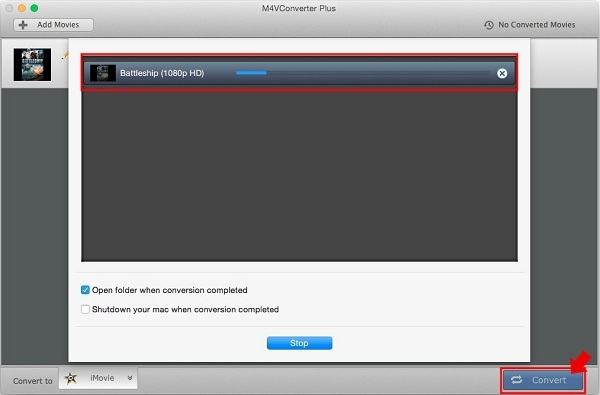 Step 1: Download the M4V video Converter and take a free try. The M4V video Converter has a free trial version. It allows you to convert 1 minutes of a video. After purchasing, you will receive registration code immediately. And you could upgrade permanently for free. 2. 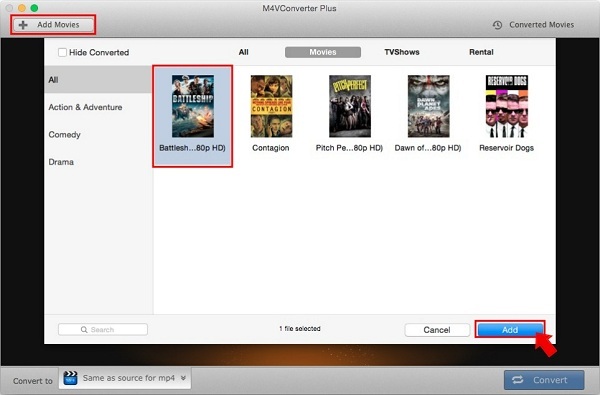 Add iTunes movies purchases or rentals and TV shows into the M4V Converter. Click Add Movies in the main interface, and then choose the M4V video files you want to convert. Click Add. You can also drag the file to the software. Click Convert to profile drop-down list to choose the output format as you needed, you can choose Same as source for mp4/mov, Customize WMV/VOB/MP4/MP3/AAC, etc. 4. Convert your M4V videos. Click Convert button to start the protected M4V to MP4 conversion. In a word, M4V Converter Plus is designed for every user. 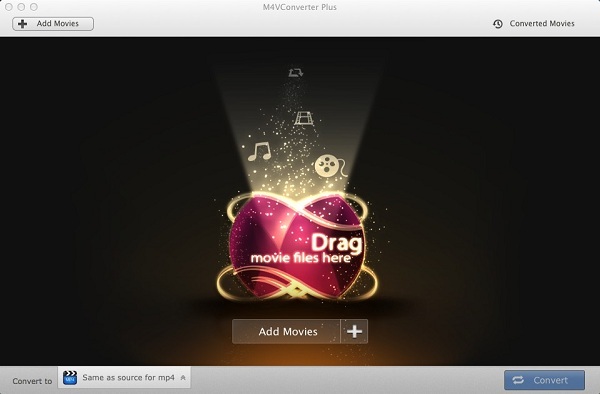 If you can operate your Mac, you will be able to use the M4V converter software. This converter tool will convert M4V videos with fast speed and high quality. After conversion, you could see the movie on your Mac.